HTC has announced the winners of its third annual Viveport Developer Awards, celebrating new games included in its VR subscription service, Viveport. 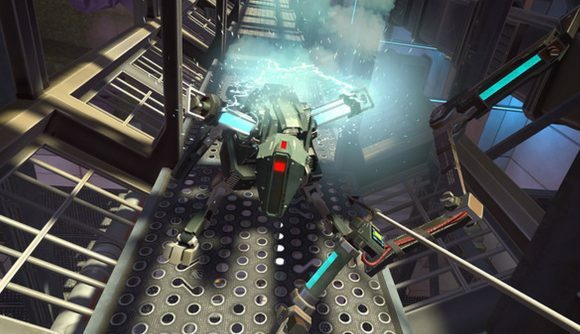 The extremely diverse selection of winners were announced across four categories last night at the company’s GDC 2019 showcase. Most notable of the winners is archery game Apex Construct, which took first place in the Entertainment category. Earlier this year, the title found itself review-bombed on Steam as players somehow confused the premium VR title with free-to-play battle royale game Apex Legends – a game not even available on Valve’s platform. Elsewhere, things get a little more grisly, as the winner of the Education category tasks players with performing a full frog dissection in virtual reality. The other winners also provide something of a juxtaposition with one another. In the Arcade category, Shooty Fruity Arcade bears a significant similarity to games like Job Simulator, but asks you to perform your tasks while blasting fruit out of the air – a la Fruit Ninja, but with a gun. By comparison, the winner of the Arts & Culture award is Claude Monet – The Water Lily Obsession, an experience allowing those within it to explore the some of the famous artists’ most well-known pieces from the inside. You can check out a full list of the winners and nominees in the blog post mentioned above.